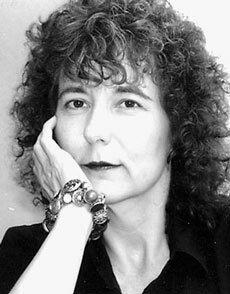 Ellaraine Lockie is an American poet who has been published in poetry magazines, journals, broadsheets and anthologies in the U. S. and internationally, and has received a number of writing awards, including eleven nominations for Pushcart prizes. Her four published chapbooks are: Midlife Muse, Poetry Forum (winner of their 2000 chapbook contest); Crossing the Center Line, Sweet Annie Press; Coloring Outside the Lines, The Plowman Press; and Finishing Lines, Snark Publishing. She also teaches school and community poetry workshops and writes nonfiction books, magazine articles/column and children’s stories. Her nonfiction books are: All Because of a Button: Folklore, Fact and Fiction, St. Johann Press; The Gourmet Paper Maker, Creative Publishing, and The Low Lactose Kitchen Companion and Cookbook.